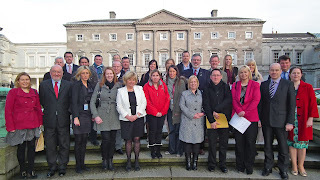 Today I hosted a briefing in the Dáil by parents from the Happy New Ear group. The group have been campaigning for the introduction of a bilateral cochlear implant programme. Currently, children in this state who are profoundly deaf only receive one cochlear implant, rather than the two which is accepted as best international practice. I urged TDs and Seanadóirí who attended todays briefing to become champions for those children and adults in need of bilateral cochlear implants and to increase our lobbying of the Minister for Health in advance of the budget estimates in June for Budget 2014. This is a very winnable campaign. It is an issue that the government can fix. It needs political will. The HSE has commissioned a business plan to be submitted in June for inclusion in its estimates for Budget 2014. We need to increase our efforts to ensure that this business plan is comprehensive and effective and that the necessary funds are included for a bilateral cochlear implant programme. 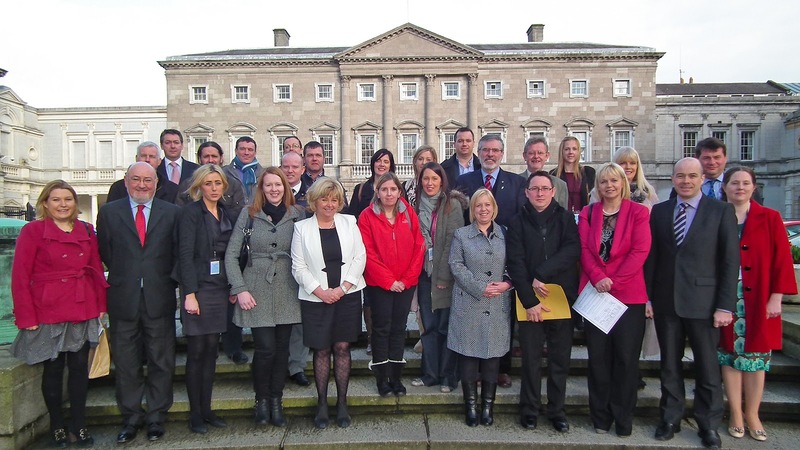 All of the Oireachtas members who listened to the parents were impressed and moved by the contributions. The parents spoke powerfully about the courage and the difficulties faced by their children. And they explained that the absence of the second implant can also create problems for the children. Without a second implant children find it more difficult to differentiate speech in noisy environments; they can’t located direction for a sound and the stress of trying to hear is exhausting. The provision of cochlear implants for children is an issue of fundamental rights. It is also a race against time as the auditory nerve to which the implants are connected becomes more redundant every day and will eventually die if they are not being used. It is also accepted that there are around 200 children throughout the state who may be able to avail of this service. International best practice demands that children receive bilateral implants. For the last 17 years the practice in this state has been for a single implant. All of the parties in the Dáil and Seanad and the independent groups were represented at the briefing. I appealed to them to raise this issue in their groups meetings and to use the few months between now and June to increase pressure of the Minister and the HSE to ensure that a fully costed bilateral cochlear implant programme is put in place for next year. Support the Happy New Ear group and go onto their website and facebook page. Just google Happy New Ear.